Libia F. Scheller is the Global Head of Oncology Cooperative Groups & Strategic Alliances for Bayer Health Care Pharmaceuticals. Her focus is on building strategic partnerships world-wide with key opinion leaders in cooperative groups and research networks in the area of Oncology Research. 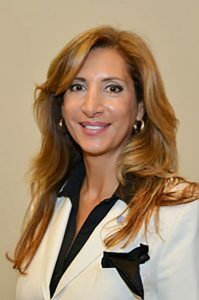 She is the former Medical Director of the Institute for medical Education & Research located in North Miami, Florida and is an expert in delivering educational programs to physicians, nurses, and to patients. Dr. Scheller brings over eighteen years of experience in Oncology Clinical Research. She has held multiple positions in Medical Affairs with Sanofi-Synthelabo, Osiris Therapeutics, ALTech Biomedical, The Norv Carv Group, Walter Reed Army Institute of Research, and International Consultants of Advanced Technologies. Dr. Scheller received her B.S. from The University of Connecticut and Yale University, earned her PhD from University of Maryland School of Medicine in Molecular Biology & Immunology, completed her post-doctoral training at The Naval Medical Research Institute in Vaccine Development, and earned her MBA in International Management of Science from University of Basal in Switzerland. Her work has been published in over twenty-two leading academic and clinical journals focused on immunology, vaccine development, and oncology.